This is actually a bit disappointing to me. 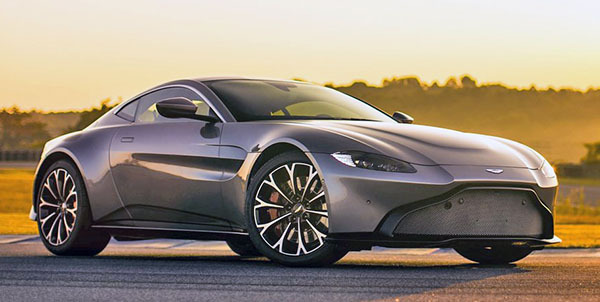 As the current vantage is still a super classy, timeless design. It basically still looks fantastic. This looks like a toy. Not as classy at all. And the interior is downright vulgar. Not sure what Aston Martin is after. But this is really not what an Aston martin should be. A bit disappointing? It's a f-ing travesty. That interior is akin to a cluster of venereal warts. I love this! The front air dam maybe a little too much. However this is very nice. 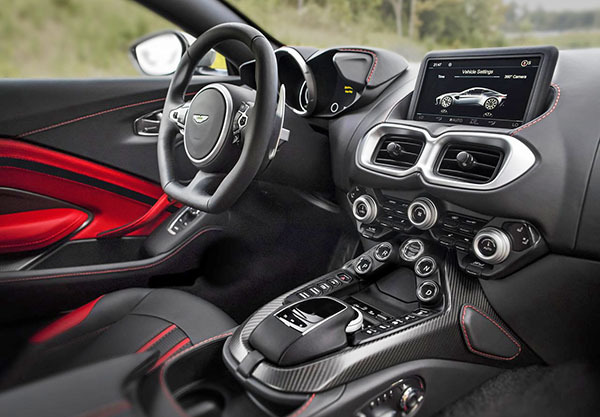 I'm glad to see Aston Martin move away from their outdated interiors too. Kudos to them. Exterior feels as if it was styled by a Korean-schooled Singaporean raised in Japan. Interior stylist must be hooked on Adderall. This is not a beautiful vehicle as most Astons are, the front looks unfinished and that interior looks not only vulgar, but cheap!